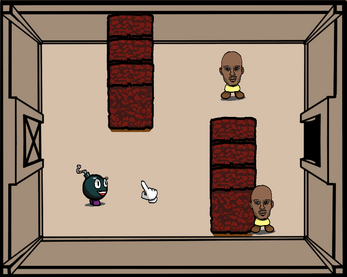 A game developed for the Giant ROM 5 game jam. 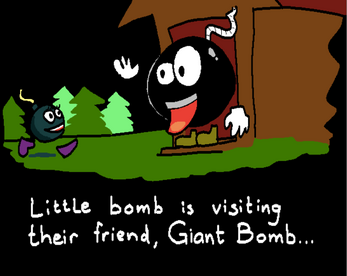 Adventure through a perilous dungeon looking for Giant Bomb's lost memory. 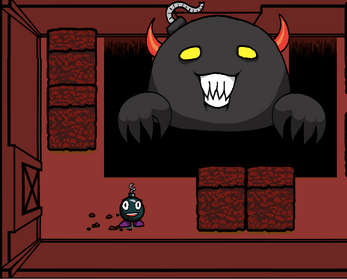 Fling yourself around to dodge obstacles and bottomless pits, then explode in your enemies' faces! Controlled using Mouse and Keyboard (further explanation in-game). Press Escape to quit the game at any time. Your progress will not be saved. - Exploding will make you invincible for a short time! - After you fling yourself, you'll bounce against walls as long as you don't move again. 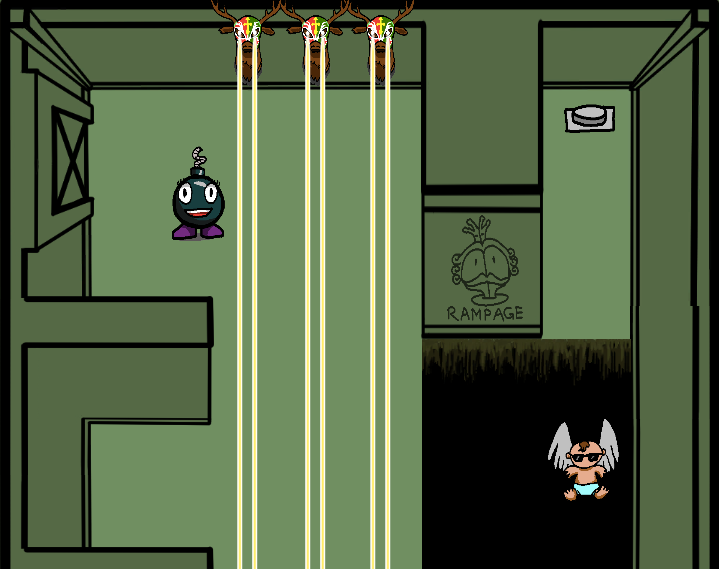 - Exploding just after flinging yourself will give you a little speed boost. - There is no way to die! Keep going and you'll get through in the end! 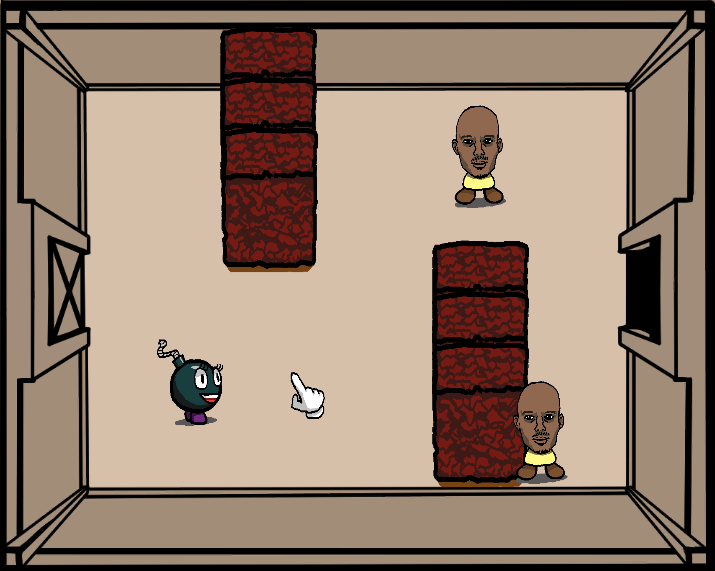 On rare occasions it it possible for little bomb to be pushed outside the room boundaries by obstacles or enemies. If this happens, press F12 to enter NoClip mode, get back into the room, then press F12 again to exit NoClip mode. 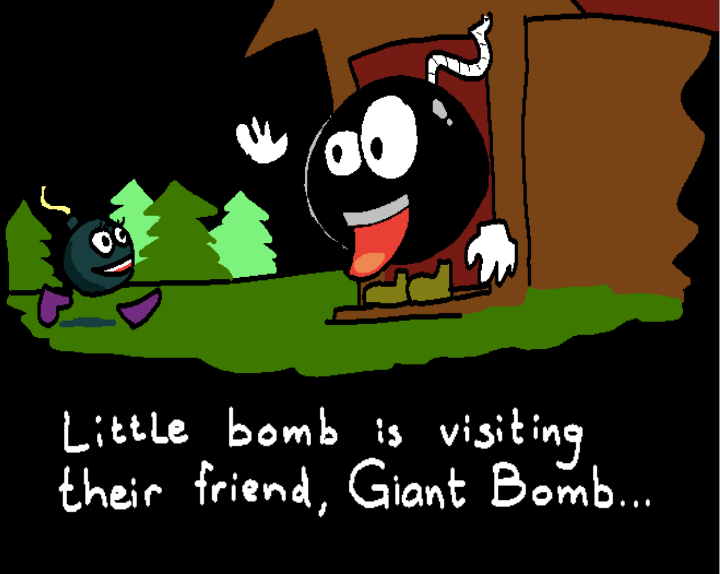 Little bomb is the absolute cutest. This is very good, I love the easter eggs everywhere.